Pasta. It's universally delicious, right? Who doesn't like the warm, cheesy, comforting goodness of ravioli? Exactly. So why not celebrate Ravioli Day (which is officially March 20th) this weekend? And if you're looking for somewhere to celebrate, I highly recommend BRAVO! Cucina Italiana. 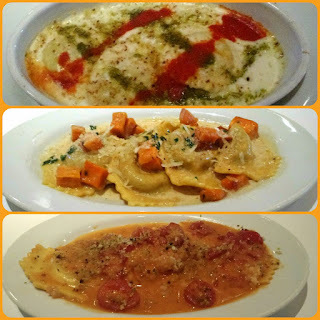 They have all of your ravioli needs covered with the Crispy Mozzarella Ravioli Appetizer and three ravioli entrees! One of the best parts of choosing BRAVO as the venue for your ravioli party (besides the tasty food, of course) is that the three ravioli entrees are HALF OFF from March 20th-23rd! Seriously fresh and delicious food for low, low prices? Yes, please. The three ravioli entrees are the Cheese Ravioli & Insalata, Braised Beef Ravioli, and Lobster Ravioli Alla Vodka. Out of the three, I have to declare the Braised Beef Ravioli as my favorite. I loved the combination of the sweet potatoes, beef, and champagne and brown butter sauce. It was a refreshing take on ravioli with a lighter feel. Its also the perfect ravioli solution to those who prefer to steer clear of the heavier red and cream sauces. If you're the type to indulge (especially when celebrating,) BRAVO! 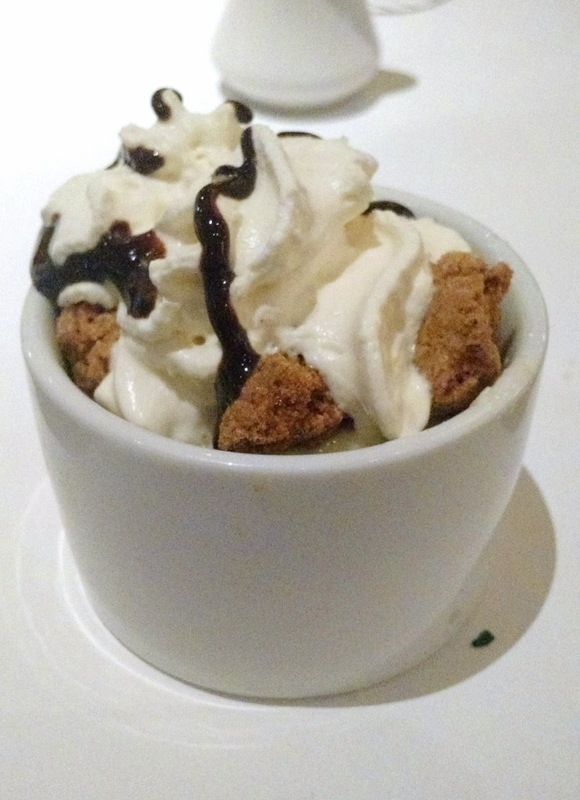 also has a fabulous dessert menu with everything from Warm Chocolate Cake to (what I indulged in) Chef Brittany's Cannoli Crumble. Don't forget the Cappuccino! Thanks to the recent development here, there is no longer a place to be avoided at night. This is a perfect location for a classy, elegant event. It’s great when everyone gathers at the lofty spaces for an incredible picture.